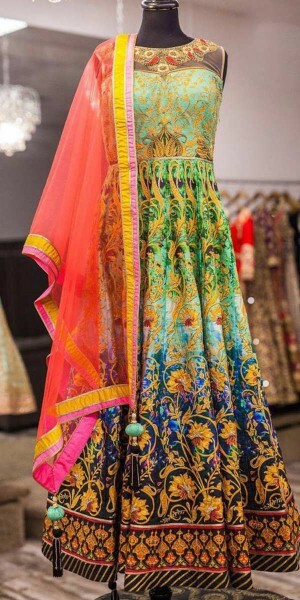 Hot Green And Multi-Color Silk Embroidered Gown. Charming Black Silk Embroidery Gown. Marvelous Yellow Net Embroidered Gown. Angelic Navy Blue Satin Silk Embroidered Gown. Ravishing Grey Satin Silk Embroidered Gown. Adorning Purple Silk Printed Gown. 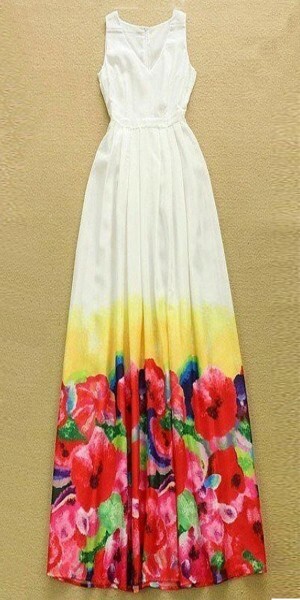 Flaring White Satin Silk Printed Gown. Designing Navy Blue Silk Patiyala Suit With Dupatta. Lavishing Black Satin Silk Embroidered Gown. 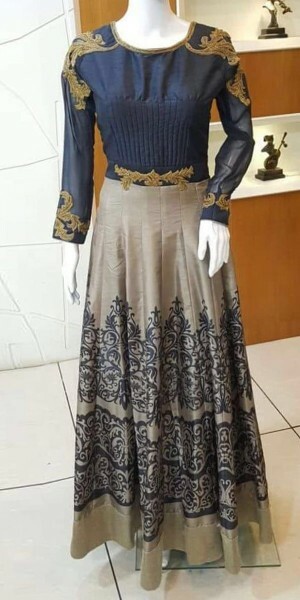 Lastest Brown Satin Silk Embroidered Gown. Enticing Red Silk Printed Gown. Scintillating Black Silk Embroidery Gown. Classy Blue Net Embroidery Gown. 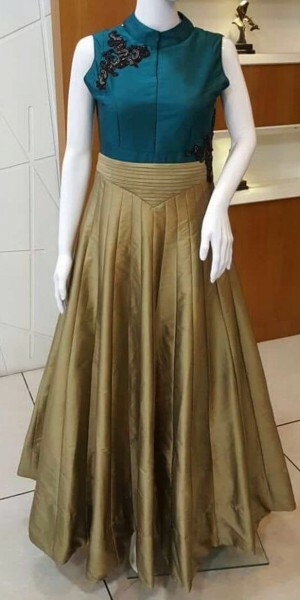 Tranquil Green Net Embroidery Gown. 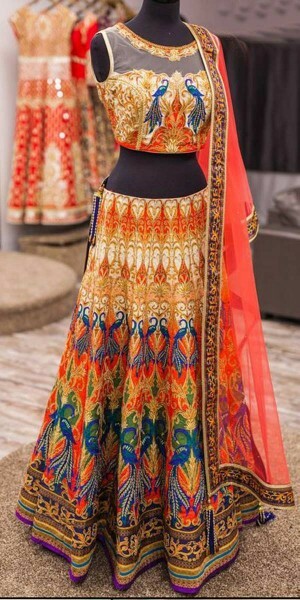 Classy Orange Net Embroidery Gown. Enticing Maroon Georgette Embroidery Gown. 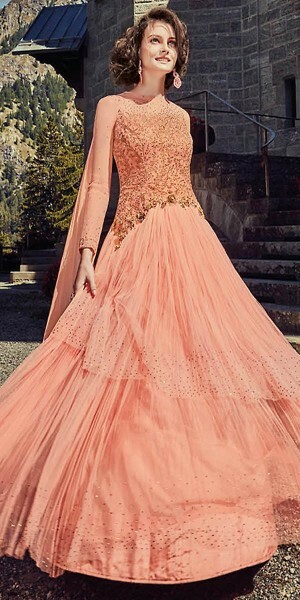 Beauty Peach Georgette Embroidery Gown. Tranquil Pink Net Embroidery Gown. 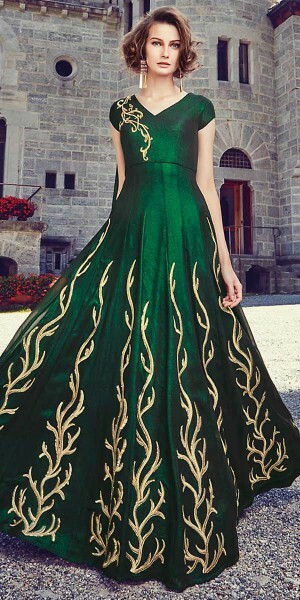 Adorning Green Green Embroidery Gown. Scintillating Beige Georgette Embroidery Gown. Adorning Beige Silk Embroidery Gown. Precious Brown Net Embroidery Gown. Precious Orange Net Embroidery Gown.